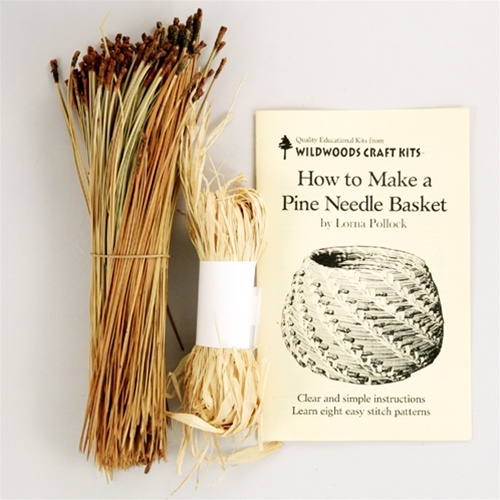 Pine needle basketry is an American folk art. 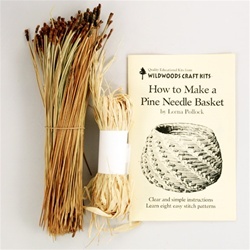 With this kit you can make a charming 3”-5” diameter coiled basket using California pine needles and raffia. The illustrated instructions are easy to follow. A variety of simple basketry stitches are explained as well as details on making lids and handles and caring for your finished basket.